Once desire begins to burn, Alexander and Evelyn are unable to deny the soul-deep connection that exists between them. But Evelyn must make a choice - marry the kind and affable Mr. Sutherby or risk everything in the hope of thawing an immortal's frozen heart. Evelyn Bromwell is traveling with her aunt to meet the man she expects to marry. Evelyn isn't in love, but security drives her to consider marriage. She and her aunt are caught in a storm and their carriage overturns. Evelyn's aunt and coachman are badly injured. Evelyn runs through the forest in search of help and stumbles across a chained gate blocking her way to a dilapidated manor. Determined to save her aunt, Evelyn climbs the gate, forces her way into the house, and demands that the man inside help her. Alexander Cole is a selfish man only concerned with his own misery. Two years ago a beautiful woman bewitched him and he'd woken to find himself changed, craving blood and unable to bear sunlight. He locked himself away in his manor and spread rumors that he had been terribly disfigured in an accident. Now he spends every day alone, living on animal blood and cursing his loneliness. When Evelyn arrives at his home, Alex isn't overwhelmed by his craving for her blood. Instead she stirs pity in him, and for the first time in two years Alex glimpses his own humanity. Determined to discover if the feelings will last, Alex agrees to help her. When Evelyn and her aunt are forced to stay in his home until her soon to be fiancee arrives, she awakens other feelings in him that he hadn't felt even before he was cursed. I haven't read many vampire novels, but I think this would be considered "vampire lite". The focus is on Regency romance and the vampire plot is secondary. It does add a flavor with a light tang of the supernatural that makes this story unique . Alex is a tortured soul, isolated and tormented. Evelyn is a strong and capable heroine, fighting to force her way into Alex's heart. I enjoyed all the characters in the book and the story was well told and entertaining. This isn't a clean read, there are passionate and explicit love scenes. 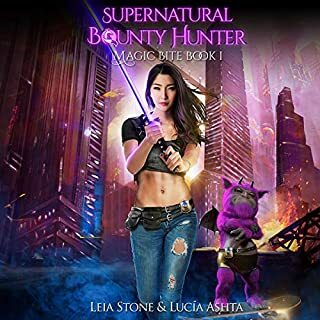 I've listened to a few audiobooks narrated by Kylie Stewart and they're always enjoyable. The narrator speaks with an accent that's very pleasant. I received a copy of the audiobook in exchange for an honest review. A BEAUTIFULLY DARK LOVE STORY! Ms. Clee is such a wonderful storyteller! Each time I read a new book of hers I swear it is better than the last one. This story starts a new series and it sets up a world where life can sometimes be very dark. But in this story, love does prevail. Alexander and Evelyn's bond help them to navigate through this darkness. I loved the characters in this novel and cannot wait to learn more about them in the following books. Kylie Stewart's voice lends itself magically to Ms. Clee's characters. She lends just the right amount of emotion to each personality to bring the story to life. I look forward to listening to the rest of this wonderful series. I was taken by surprise by the vampire angle. I must have missed that in the book's description. Not much to the story other than the wooing. It isn't the best I've read, but not the worst either. The love scenes were tame and unimaginative. The narrator was a bit lack luster, but adequate. I thought this was a wonderful story with excellent narration. I look forward to the next book. Love love LOVED THIS BOOK. The story is well written, characters and setting perfect! Can’t wait to start book 2! Struggled some with it. it was entertaining, but was disappointed that it ended rather abruptly. Terrible narrator, bad to the point of laughter. This was a super love story telling about an unfortunate man, Alexander, who is struggling with being a vampire but who is trying desperately to not drink blood from a live person. He really is not happy with his enforced existence. When he and Evelyn meet they both sense that there is something different between them and they explore their relationship and learn to trust each other. The story is very different from what I expected to read about or listen to and I was very pleasantly surprised. It is written by Adele Clee in her normal manner, with lots of twists and turns, a great deal of romance which becomes hotter and hotter as the book progresses, with a villain and the couple also have very supportive family and friends. 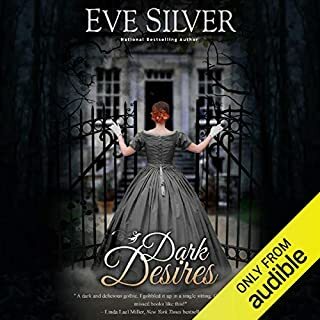 The narration by Kylie Stewart in the audiobook version is really good and adds to the telling of it. I am extremely happy to recommend this first story in The Brotherhood series as something that 'reads' easily and keeps one entertained and I am very keen to begin the second of the series very soon. At my request I was supplied with a free audiobook by the author and this is my voluntary and unbiased review of it. I liked most everything about this book. I wish there was a little more to the building of the romance. Although it is mentioned about feeling it from the soul which makes it a bit more acceptable. Worth the listen for sure. I’m moving on to the next in series. Have you ever taken a language course where you were required to speak in that language? Did you ask the question, "What if I don't know how to say a particular word?" You were probably given the advice to describe around the word as best as you could using the vocabulary you already had. Why is that relevant? Because this book features at least 4 different vampires, but the word "vampire" wasn't used at all. That was actually very interesting. Alexander, two years after being changed, during which time he isolated himself in his dilapidated estate, bumps into the woman who ignites his passion and revives his humanity. Evelyn, meanwhile, is on her way to get engaged to another but is instantly attracted to Alexander. Interestingly, unlike a lot of vampire romances, Alexander does not crave Eve's blood. He desires her company, he craves her security and feels entirely unworthy. Perhaps it is better that Alexander is not called a vampire. He is almost too sophisticated rather than blood-thirsty. But he repeatedly comes to Eve's assistance, though in the end they really save each other. The story is different from most regency romances and most vampire stories, though it borrows from both genres. It is a story of love, choices and self-acceptance. As are all of Adele's books. I am so glad these are now on audible! Can't wait to listen to the rest. So well written and brilliant stories. They all have me gripped all the way through.